Hello, welcome to episode 47 of The Bitcoin Game, I'm Rob Mitchell. We recently had the State Of Digital Money, the first big Bitcoin conference in Los Angeles since 2015. Actually, I'm unsure if I should call it a Bitcoin conference, since the majority of the presentations were not directly related to Bitcoin. Luckily for me, I got to moderate a panel on scaling Bitcoin with notable Bitcoiners: Core developer Eric Lombrozo, longtime Bitcoin developer Ryan X. Charles, vocal trader and personality Tone Vays, and Airbitz Wallet’s Paul Puey. You'll hear the discussion in its entirety on this episode. While much of a Bitcoiner's time is spent in the world of digital assets, sometimes it's nice to own a physical representation of the virtual things you care about. 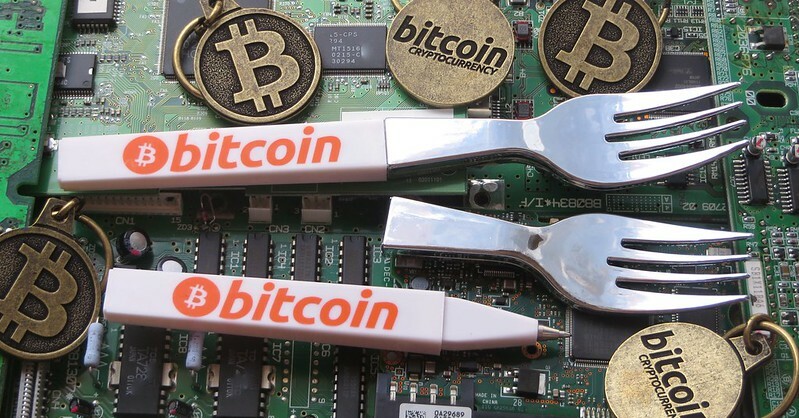 For just the price of a cup of coffee or two (at Starbucks), you can own your own Bitcoin Keychain or the newer Bitcoin Fork Pen. Episode photo courtesy of Valerian Bennett.